At the urging of the Charbonneau Country Club Board, the Charbonneau Golf Club members of the CCC/CGC Joint Committee studied the feasibility of creating and operating a golf-oriented parks and recreation district (P&RD). The concept appears simple at first sight, but turns out to be quite involved. The study included key Oregon Statutes, interviews with P&RD managers, risks involved, and a preliminary economic model to determine potential taxation costs to homeowners. Golf course annual operating shortfall in a P&RD environment – $241,000. Startup costs for the development of such a district – $70,000. Cost to the P&RD of purchasing the golf course and its assets – $3,000,000. Method for financing the golf course acquisition – Sale of Tax Free Bonds. 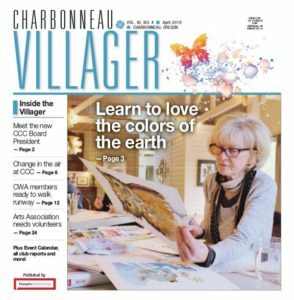 Time to create – Two years is too long to find a solution to preserving Charbonneau’s golf course. Upfront financial risk — $70,000 will be required before any vote of the residents can be held. Loss of control — A new, independent bureaucratic governmental body formed. Filling board positions — Difficulty in recruiting qualified volunteers for this crucial taxing authority. Potential creation of adversarial environment in Charbonneau – Perhaps the greatest risk of all. · A Parks and Recreation District could be created, with much effort, but take two years or more. Most Oregon P&RDs include a swim center – Not a fit in Charbonneau, now operating 12 pools. The probability of holding a successful campaign in this economic climate is minimal. There are no known leaders with sufficient interest or commitment to lead this effort at this time. P&RD acquisition of golf course by virtue of shareholders donating their shares is unlikely. A minimum estimate for securing the golf course and assets is $3,000,000. The cost per homeowner of a P&RD is not the lowest cost alternative available to homeowners. Total TAX INCREASES created by a P&RD to every Charbonneau household are estimated at $25.34 per month / $304.12 per year. The six members involved in this evaluation recommend unanimously that the Charbonneau Country Club and Charbonneau Golf Club Boards of Directors drop the consideration of creating a golf-oriented parks and recreation district. The availability of one or more simpler alternatives at less than half the cost to homeowners. Our assessment that the community-wide vote required for creation would not succeed. Finally, we ask that the Charbonneau Country Club board support the resumption of the CCC/CGC Joint Committee, working together on a simpler and less costly plan that can be presented this year to all Charbonneau property owners for consideration and approval.